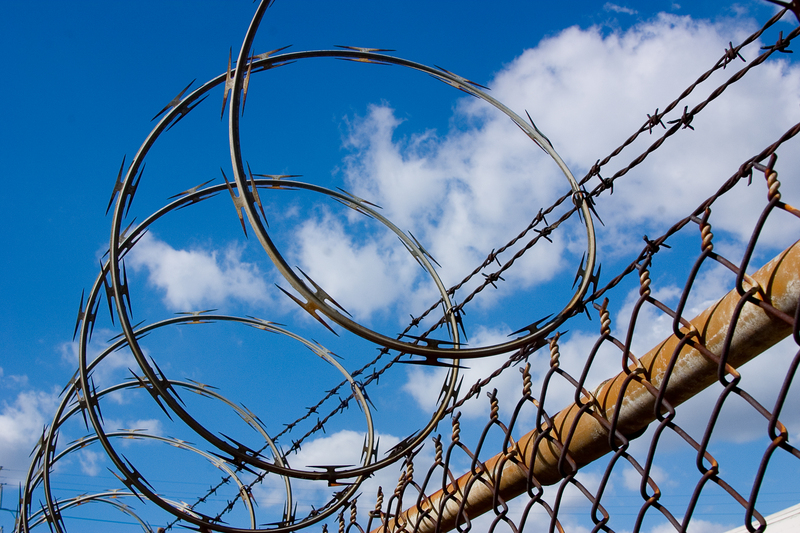 Razor wire on the Schengen border: Obstruction or self-destruction? Closing borders and building fences is the wrong response to the migrant crisis. Allowing our actions to be governed by fear and xenophobia will only strengthen the hand of the extremists, argues Bruno Bruno Nikolić. Dr Bruno Nikolić is a teaching assistant of Constitutional Regulation and Legislative Regulation of the EU at the University of Ljubljana, Slovenia. Slovenia is a small gem situated between “Europe” and the rest of the old continent: the Balkans. Although Slovenia presided over the Council of the EU in 2008, it has never played a distinctive role or been in the EU spotlight, except during the hearing of its dismissed Commission candidate in 2014. But the situation has changed rapidly since Hungary closed its southern borders with Serbia and Croatia, shifting the main migration route through Slovenia. More than 260,000 refugees have passed through Slovenia in the last few months, with fewer than 100 people applying for asylum. Even for those who wish to stay in Slovenia and complete their application for asylum, their worries are far from over. One of the lowest recognition rates for asylum applications in the EU (only 20.6% from 2010 to mid-2015), unlawful detentions of asylum seekers and a hostile environment towards refugees – from political elites, border officers, public servants and the general public – are among the final obstacles that refugees must overcome to become European citizens. From a small and insignificant country in the centre of Europe, Slovenia suddenly became the last (first) defender of the European Union. This argument may appear eccentric, but if “the euro does not make sense without Schengen”, we have to highlight the importance of Slovenia. Ever since Hungary closed its border with Serbia and Croatia, Slovenia has become the front door to the Schengen area. The smallest EU country on the migration route took over an enormous burden, not only in administrative terms, but more importantly in a psychological sense. The uncoordinated actions of Hungary, and some other member states, exposed the real state of affairs in EU politics, which might indicate the future paradigm in the process of (dis)integration of the Union. On the other hand, it also brought great difficulties and distress to Slovenia and Slovenian citizens. Sharp razor wire, quickly erected on the Schengen border with Croatia, represents the ultimate manifestation of internal prejudice against foreign “intruders” and the perpetual pressure and fear of additional uncoordinated actions by member states (Austria and Germany closing their borders), which would immensely increase the pressure on the Balkan countries. Does razor wire protect the sovereign territory of the country and control the influx of migrants, which is the justification for its establishment, or does it represent a treacherous tool which subconsciously inflicts intolerance and fear, hence threatens the basic principles of the European Union? Slovenia is in a difficult situation, which has begun to be reflected in behavioural changes in society. What is even more worrisome is that those changes, which are mainly a consequence of the failed EU response to the migrant crisis and terrorist attacks in Paris, are in accordance with the notorious book Management of Savagery, by Islamist Abu Bakr Naji. A clear example of this is the migration paradox of Slovenia’s youth. Traditionally the most liberal part of population – the youth – is highly inclined to economic migration, as long as they are migrating from Slovenia. Paradoxically, the conservative discourse of those who aspire to migrate, not only towards refugees but also towards economic migrants, is spreading quickly. Even they hardly identify with the refugees or economic migrants from the Middle East and Africa. They perceive the newcomers as a threat to safety, peace, economic and social standards, and what is even more absurd, they perceive them as a threat to the welfare state against which they openly protest. Conservative and xenophobic discourse is slowly but surely spilling over to the entire Muslim community. Support for the recent legislative proposal to ban the burqa in all public places, even among liberal youths, is a strong indicator of this. Furthermore, first traces of violence linked with xenophobia are becoming visible. Not only hate speech targeting migrants and Muslims has flooded social networks, but now physical attacks on Islamic community facilities have been observed. If we add up the arming of the civilian population and sale of firearms, which is hitting record highs in Slovenia and Austria thanks to lax regulation for obtaining a firearms licence, the trend is clearly alarming. The rift between Muslims and the “indigenous” European population is getting wider, in accordance with Abu Bakr Naji’s strategy, and even the most liberal part of the population is playing a part. Slovenia is not the only country facing dangerous behavioural changes, nor is it the most alarming one. The small proportion of Muslims in the Slovenian population suggests that a rise of xenophobia above the threshold that could culminate in destabilisation of Slovenian society is unlikely. The latter cannot be argued for countries with larger Muslim populations. The potential rift in those countries is considerably wider and could have significantly worse effects on the radicalisation of the population. Are European leaders able to transcend nationalistic, egoistic and xenophobic aspirations and start acting in the interest of European citizens? The biggest threat to Europe is not the migrants, which a unified EU, from an economic and social point of view, can absorb without major difficulties. A much bigger threat rests in European prejudice, intolerance and fear. Will European leaders overlook the fact that the battle against terrorism will not be won in the Middle East but in the heart of Europe? Or is it up to Europeans to force our leaders to act as a legal entity, as history has taught us so many times? A coordinated and uniform European approach oriented towards bridging the European rift is the only way to fight terrorism and our internal demons. Will we prevent further savagery between member states and more importantly between Europeans, or will we have to manage it in accordance with the wishes of Abu Bakr Naji? Gates only have two operational states, Open & Closed, so of course borders work. Mr Nikoli?’s opposition to them is based on federalist ideology of forced integration leading to a single State EU, the fact the peoples of the EU are demanding their borders back is meaningless to him. With the Schengen created migrant & terrorist crisis the pro EU fanatics have already lost the argument & the only thing left to do is dismantle Schengen followed in short order by the collapse of the EU itself. Of course, in time closing borders will lead to the necessary closer integration, much stronger external borders and the necessary European FBI so we can open up the internal borders again. One must live on an isle to have the mentality that live is more secure and better within their own little country. One must have Little Britain mentality to think so. The same with the Euro and the so called and never proofed malfunctioning. Just give it time and all reasonable citizens realize they just don’t want to live in their little oppressively village. The Schengen crisis, the migrant crisis, the terrorist crisis, the EU’s democratic legitimacy crisis and the never ending Euro Crisis means the federalist dream of a united EU is dead, its just a matter of time before the peoples of the EU bury it. You should know the facts better. Only about 1/3 is against. And there are no crisis, only political and practical issues to be solved. There has never been an Euro crisis. And the most important Euro country, Germany, has done much much better then England and this gap is widening fast with the British economy in peril. It’s just a matter of time almost anyone realizes that the EU, Euro, Schengen and Federation has much to offer and those narrow minded fearful island thinkers only offer destruction. Soon the Swiss will experience the result of their democratic choice in practise. Economical they already do. As soon as you said there was ‘no crisis’ I stopped reading your comment, you are obviously deranged & in need of medical help. Well, coming from you, that’s a compliment. I’m even surprised you can read. Now let’s hope one day you’ll understand what you read. First, try to walk on 2 legs. And there we have the standard insult from the EU fanatic with no argument. Try logic instead of dogma dear boy, you never know you may actually make it into the 21st century.